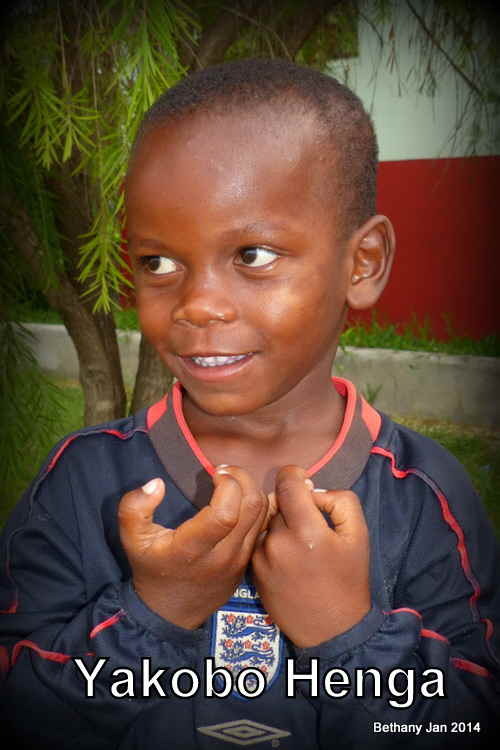 Yakobo has got a brother called Daudi who is one of the Bethany children. Before Yakobo came into the Bethany Family he was living with his mother after his father’s death _____________. His mother has been ill from time to time since then and was examined and found that there was something wrong with her womb (bleeding all the time and lost conscious so often) that needed a surgery. Yakobo’s mother was taken to a government hospital in Magu ( 20 minutes away from Bethany) and had some treatment but unfortunately the situation got worse. She was then referred to the big Hospital in Mwanza (Bugando hospital, 80km away from Bethany) and was admitted since February this year till today. When Yakobo’s mother went to the Hospital, he was staying with his cousin where he was mistreated so badly, beaten a lot, not fed properly and really he was dying of malnutrition! A good Samaritans visited his mother in the hospital and explained Yakobo’s situation it is when the mother asked Daniel to help rescue Yakobo’s life. On arrival at Bethany, he was just crying, frightened and scared of everybody (we all suspected that he has not experienced the love from the people he was living with before so he thought everybody was just the same)! He had marks of sticks on his bottoms and all over his back. He had been pinched everywhere and there were lots of wounds & scars from the pinching. He could not speak any word at all but if he was in need of something he will just cry and you have to try and figure out what the problem is. He has been at Bethany for about a month now and has made good progress heath wise, the sticks marks are fading away now and he seems much happier than when he arrived. Still he does not speak but at least he can communicated with actions. Yakobo has a fantastic smile and hope he will do very well at Bethany.